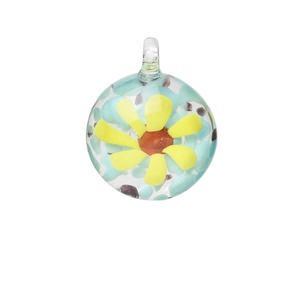 Drop, lampworked glass, multicolored, 28x23mm round with flower design. Sold individually. Create your own unique necklaces, earrings and home décor embellishments. Colors can include clear, white, red, yellow, light blue and more. Sizes, shapes and colors may vary with handcrafted items. Items are made with solid color glass, which means the base color of the glass is saturated throughout the object and will not fade or rub off over time. 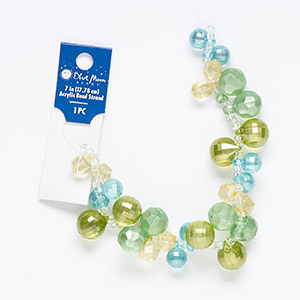 Drop, acrylic and glass, pastel green / pastel blue / pastel yellow, 10mm faceted round and 14mm round with checkerboard design. Sold per 7-inch strand. 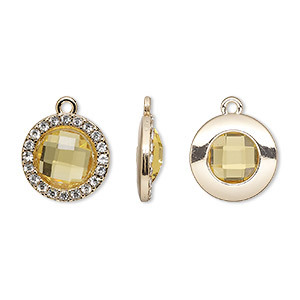 NEW - Drop, glass / glass rhinestone / gold-finished "pewter" (zinc-based alloy), clear and transparent citrine yellow, 15.5mm single-sided round. Sold per pkg of 2. 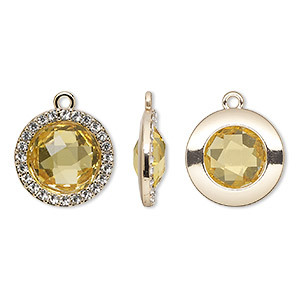 NEW - Drop, glass / glass rhinestone / gold-finished "pewter" (zinc-based alloy), clear and transparent citrine yellow, 17mm single-sided round. Sold per pkg of 2. 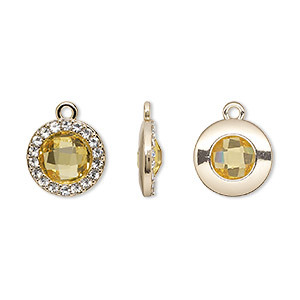 NEW - Drop, glass / glass rhinestone / gold-finished "pewter" (zinc-based alloy), clear and transparent citrine yellow, 19mm single-sided round. Sold per pkg of 2. 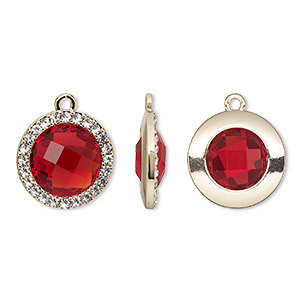 NEW - Drop, glass / glass rhinestone / gold-finished "pewter" (zinc-based alloy), clear and transparent ruby red, 15.5mm single-sided round. Sold per pkg of 2. 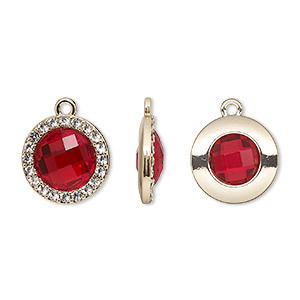 NEW - Drop, glass / glass rhinestone / gold-finished "pewter" (zinc-based alloy), clear and transparent ruby red, 17mm single-sided round. Sold per pkg of 2. 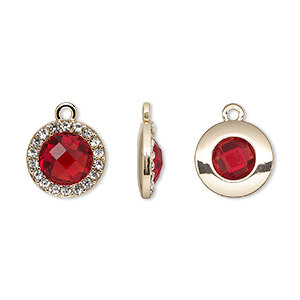 NEW - Drop, glass / glass rhinestone / gold-finished "pewter" (zinc-based alloy), clear and transparent ruby red, 19mm single-sided round. Sold per pkg of 2. 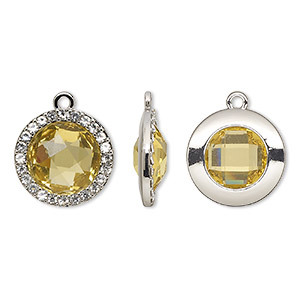 NEW - Drop, glass / glass rhinestone / imitation rhodium-finished "pewter" (zinc-based alloy), clear and transparent citrine yellow, 15.5mm single-sided round. Sold per pkg of 2. 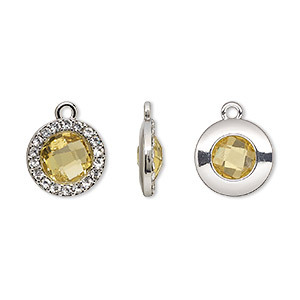 NEW - Drop, glass / glass rhinestone / imitation rhodium-finished "pewter" (zinc-based alloy), clear and transparent citrine yellow, 17mm single-sided round. Sold per pkg of 2. 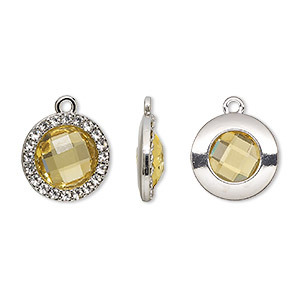 NEW - Drop, glass / glass rhinestone / imitation rhodium-finished "pewter" (zinc-based alloy), clear and transparent citrine yellow, 19mm single-sided round. Sold per pkg of 2.